Good literacy and numeracy skills are critical for our young people, for business and for the economy. 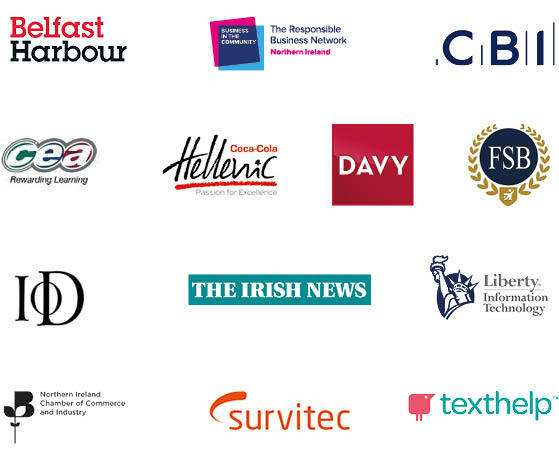 We want you to sign up to the NI Business Charter on Literacy and Numeracy* and join other like-minded organisations to hit the target of supporting 90% of children leaving Northern Ireland’s primary schools with Level 4 skills in literacy and numeracy by 2020, rising to 95% by 2025.
Business has a significant role to play in helping improve these skills by engaging and supporting schools and colleges. Many businesses are actively engaging through a range of initiatives. Your business might be one of them. Every intervention really make a difference. But, we need to do more. Improving literacy and numeracy skills will help to ensure the sustainability of the future workforce, improve life chances and increase employment opportunities for our children, as well as combating poverty. To find out more, please email Emma Morrison. *Business in the Community has developed the NI Business Charter on Literacy and Numeracy in partnership with the Confederation of British Industry, the Federation of Small Businesses, the Institute of Directors and the Northern Ireland Chamber of Commerce to challenge business to actively support the achievement of good literacy and numeracy for pupils across Northern Ireland.